Vienas iš mūsų programos tikslų – suteikti jaunimui galimybę prisiliesti prie mėgstamų profesijų ir išbandyti save! 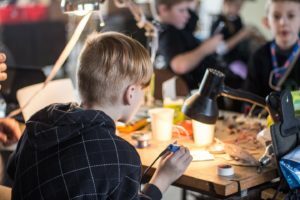 Šį savaitgalį mūsų programos auklėtinis Povilas Urbanskis dalyvavo Technarium organizuotame Science Hack Day Vilnius 2018! One of our goals is to provide youth with opportunities to check out different careers! This weekend our student Povilas had a chance to participate in the science hack day organized by the Technarium! 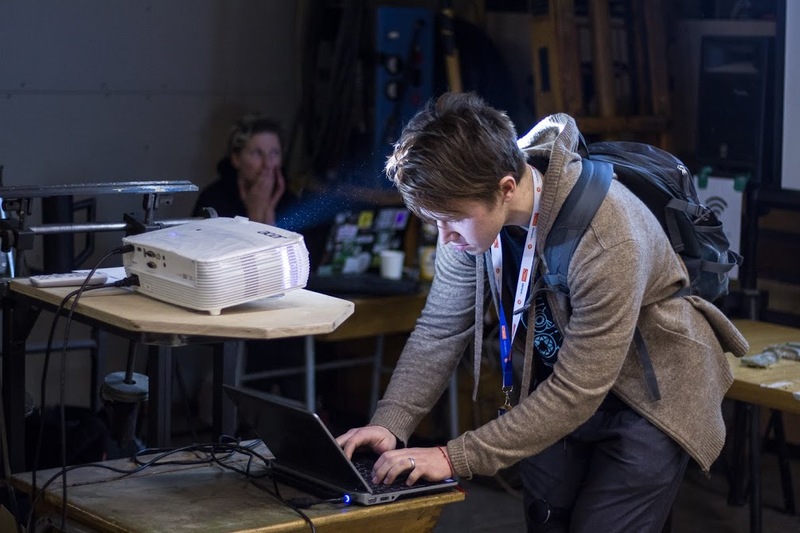 Over 120 scientists, engineers, artists & schoolchildren hacked all things science for two days, and presented their hacks to the public at the end. You can watch the live demos here. Here’s also a bunch of great photographs by Raitis. And now it’s time for a summary of all the hacks! Strap in. 1) Space Cart X – shopping cart launch. A team of physicists from N2 set themselves a challenge: Lithuanian Space program with a 50 euro budget – launching a shopping cart into low orbit by the end of the Science Hack Day weekend! 😜 Even though they were considering leading a “Failure 101” course by Sunday morning, their launch was actually successful at the end! Space Cart X claimed the “Space Hack” & “Audience Favorite” prizes! 2)Akių ir Kiaušinių Šešėlių Teatras – electromagnet shadow theatre – was a collaboration that emerged from ruins of several projects. One particularly impressive attempt was making a programmable magnet printer — this is something we’re interested in and would love to collaborate with that team! 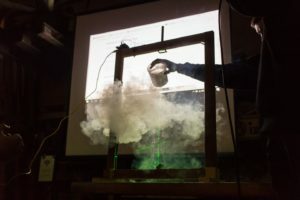 In the end they, a team that wanted to build a DIY planetarium and more people teamed up and built a shadow theatre projection out of ferromagnetic fluid and electromagnets. They made many attempts to make the ferromagnetic fluid themselves! Electromagnets team claimed the “Art && Science” Award! 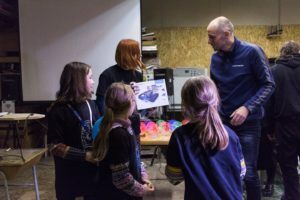 3) Švytintys Stebuklai (“Glowing miracles”) — a team of 3 girls aged 9-12 and their mom created animations by using laser-cut acrylic, a BBC micro:bit and LED lights. 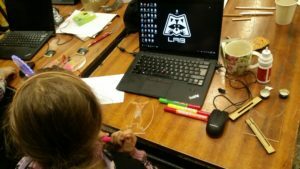 The girls learned to code with the micro:bit, to use a laser cutter and to solder, and used their awesome artistic/craft skills to draw pictures and vectorise them on Inkscape — all in two days, under guidance from M-Lab! The team claimed the “Young Scientist” prize — a Makeblock, donated and awarded by UAB Magveda! 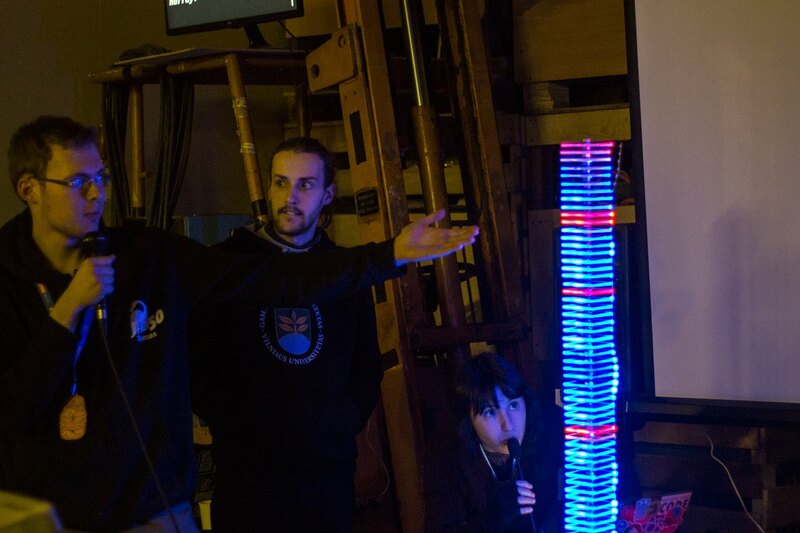 4)Spektrogramos Bokštas – Spectrogram Tower team decided to create a physical audio visualisation project, consisting of a tower of acrylic pieces, a string of programmable LEDs and Python code doing Fourier analysis of microphone input. Here’s a great writeup by their team member Diéssica — a developer from Berlin who came here for Science Hack Day! 5) CrystalBOT was an impulsive project by opit, Saulius, ffwd and Ką Mykolas?. They won the Open Science award. 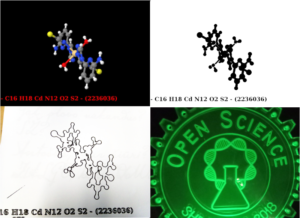 Crystallography Open Database is an open access collection of crystal structures of organic, inorganic, metal-organic compounds and minerals, created and maintained by scientists who wanted to make this data accessible for all. As of 2018-02-12, there were 391176 entries at the COD. It is an example of vast scientific databases whose entries are rarely, if ever, seen by human eyes. I wanted to demonstrate the expansion of human knowledge in an immediate, physical way, rendering the quiet and hidden labour of science visible. 6) Pauliaus Tardigrada – hacking the SHDV tardigrade badge was a WiFi-based game using the SHDV badges. Unfortunately, he needed more time to finish the project! 8)Kibernetinė Meška (“Cyber Bear”) team set out to investigate security of RFID contactless cards. 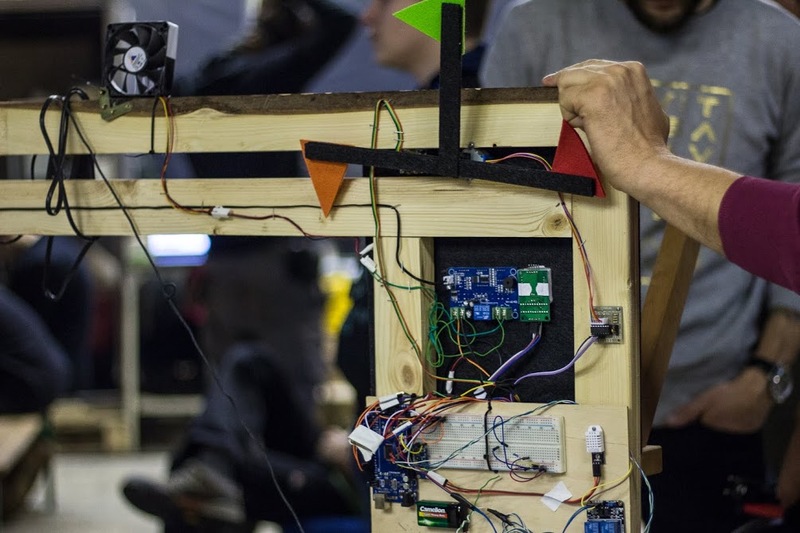 They used an Arduino-based set up and at the end determined that it is indeed possible to MITM a RFID system, provided that the radio antenna is very close. To be continued! Their source code is here. 9)Self-Hack was a one-man project about possibilities in fast-reading and movie metadata. 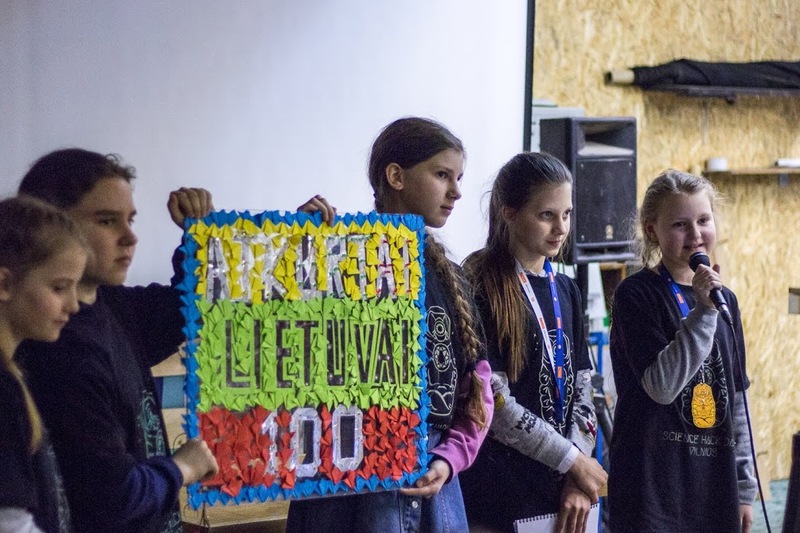 10) 100-mečio Lemputės – LED board for Lithuania’s 100 anniversary – a team of highschoolers from Molėtai created a blinking LED board with Lithuania’s national colors for their school in order to celebrate the 100th anniversary of restored Lithuania. 12)Žaibas (“The Lightning”) – musical stairs was a kids-and-teachers team from Utena. They made working musical stairs for their school using their micro:bits, IR diodes and detectors. 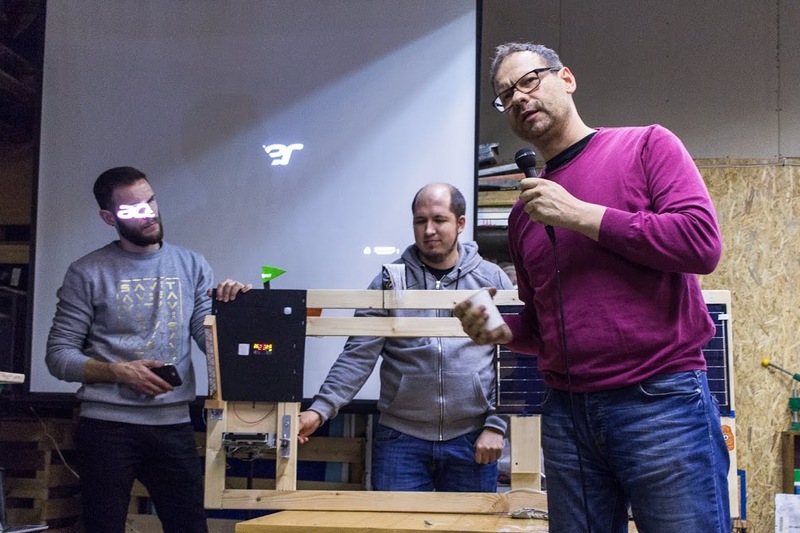 “Žaibas” team won a special “Hack Party” prize from Technarium team for their difficult and well-executed project! 13)”Rūpestinga mama” – (“Careful Mom”) was a project by a team from UAB “Vildika”. 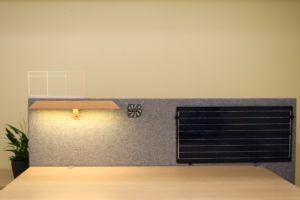 They made a smart workspace environment system, complete with temperature control, solar panels and red flags if methane is detected in the air. They won the best hardware project prize! 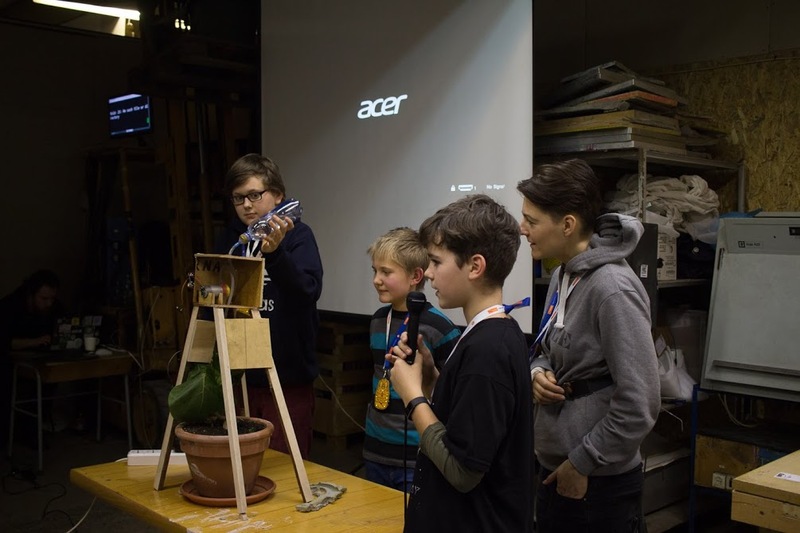 14) Plant Pi – smart plant watering system was a kids-and-mom-team who made a RaspberryPi-based plant-care system, complete to a DIY water pump! They won the EcoHack award. 15)Long Blockchain Team set off to create a massive 3D printer that would be able to print things outside: e.g. fabricate buildings, deposit seeds for botanics research and more. By the end of the hackathon the team still hadn’t succeeded, but they shared their process & their failures during the final demos, for which they rightfully claimed the “Negative Result” prize! 16) The Smell of Science – biodegradable wrapping paper & teabags and more. An idea that started with biodegradable wrapping paper to minimize waste during Xmas and other holidays quickly evolved to biodegradable tea bags and even vegan sausage wraps. The team used SCOBY (symbiotic colony of bacteria and yeast) from one of our Biohacking Thursdays (commonly known as tea mushroom or kombucha) to make biodegradable materials of various properties and purposes. The winning application were SCOBY tea bags! The team claimed the “Best Science Hack” prize. See their full progress report, many more pictures and lab protocols here. 17)olab.lt team hacked several hardware projects, including using SHDV badge and some sensors to monitor climate change! 18) Burbulai – automated conflict resolution system was a family project: they created a system to schedule the offloading of their dishwasher, and won the Social Good award. 19)Go Girls – laser booby trap won the M-Lab photonics challenge! 20) Cocktail Bot team set out to build a cocktail-mixing barbot! Unfortunately, they didn’t finish it (yet..), but hopefully they will make a robot bartender in their own time. Phew — that was a lot! Thanks for all the teams that took part and we hope you learned something and had fun. If you are in Vilnius, come by to the next Hack and Tell on March 2nd to tell us more about your project! 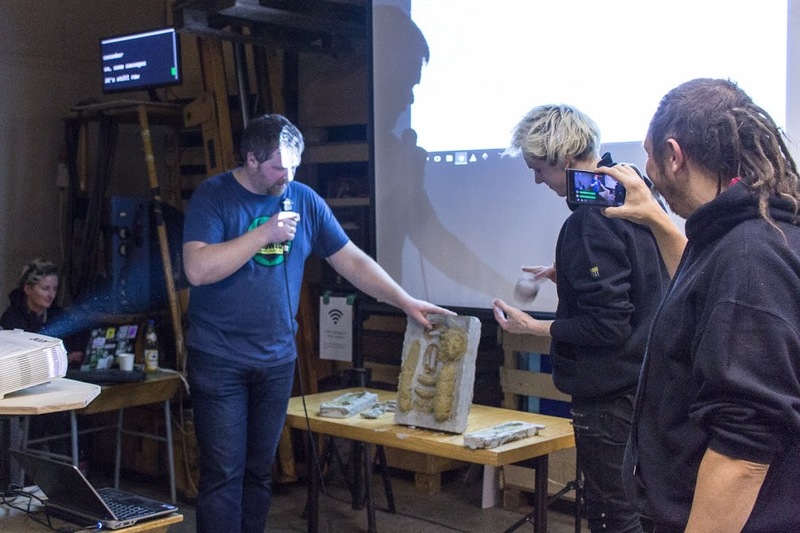 In addition, we want to make science hacking in Vilnius sustainable and continuous: every fourth Thursday of the month we will hold science hacking meetups at Technarium — come to continue your projects, find collaborators, get new ideas and inspiration.